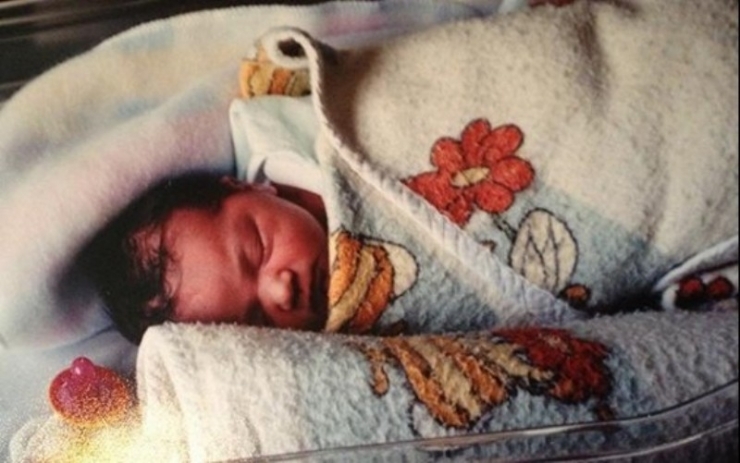 Only five months earlier, Makayla was a happy, healthy 9 year-old. She’d never even really been sick. Then, one summer morning, she woke up with a headache. Initial visits to the doctors sent Makayla home with strong migraine medication, but none of it alleviated her pain. The months crawled by, and Makayla did not get an answer – or any relief. Doctors were hesitant to do invasive testing on a young girl but finally, Alaina demanded an MRI. She knew something was seriously wrong. Hours later, the call came to her in the check-out line of the supermarket. If you don’t know what a Chiari is, you’re in the majority. 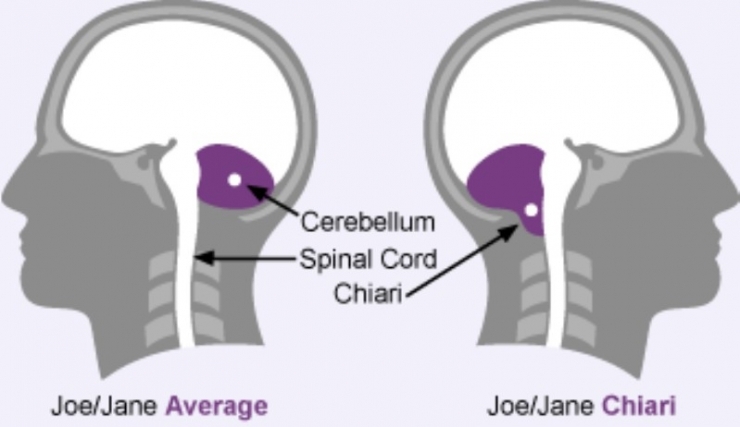 Chiari malformation is a brain abnormality of the cerebellum, the lower part of the brain. Makayla was having intolerable headaches because her brain was literally pushing against her spinal column. Surgery was scheduled straight away because Makayla’s Chiari was 6mm, a very large size. The back portion of Makayla’s skull, as well as her top two vertebrae, were removed to allow room for the Chiari. Because this malformation is actually part of Makayla’s brain, removal of this excess mass is not an option. The only problem was that service dogs were expensive. Alaina, her husband, Makayla and sister Alyssa were all living on a single income since Alaina quit her job. Luckily, the family had great insurance. 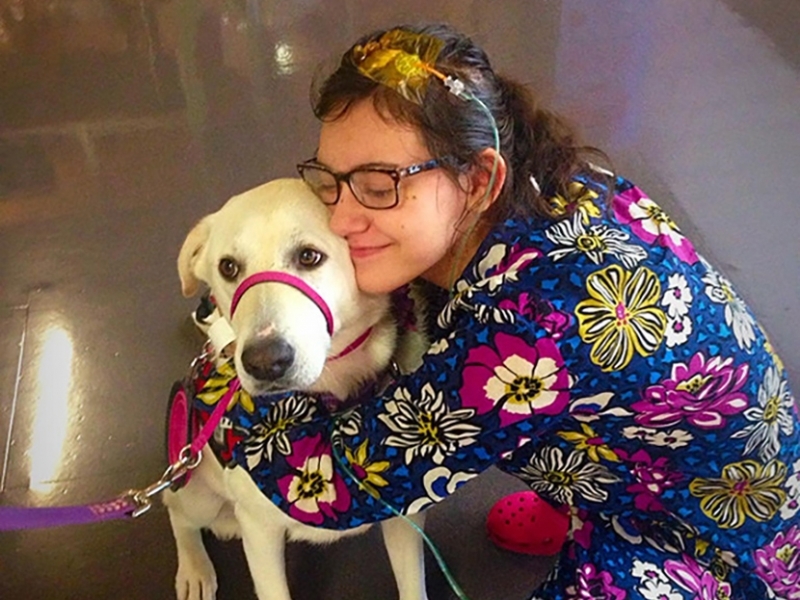 Unluckily, the cost of a service dog was not covered. Desperate for help, a social worker from Dell Children’s Hospital recommended Makayla apply to Chive Charities. 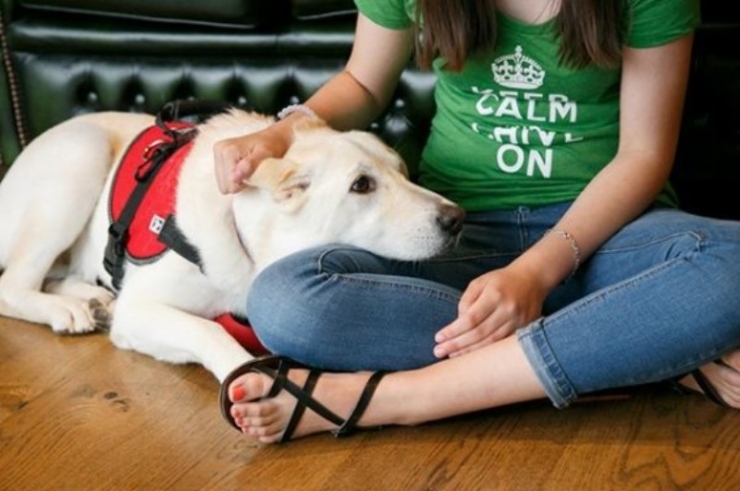 With a $5,000 grant from Chive Fund, we purchased for Makayla a trained service dog named Bailey. She caters to Makayla’s three main needs: balance, bark on command, and emotional support. When Makayla’s brain doesn’t send nerve signals the way it should she gets dizzy, and Bailey will break her falls. 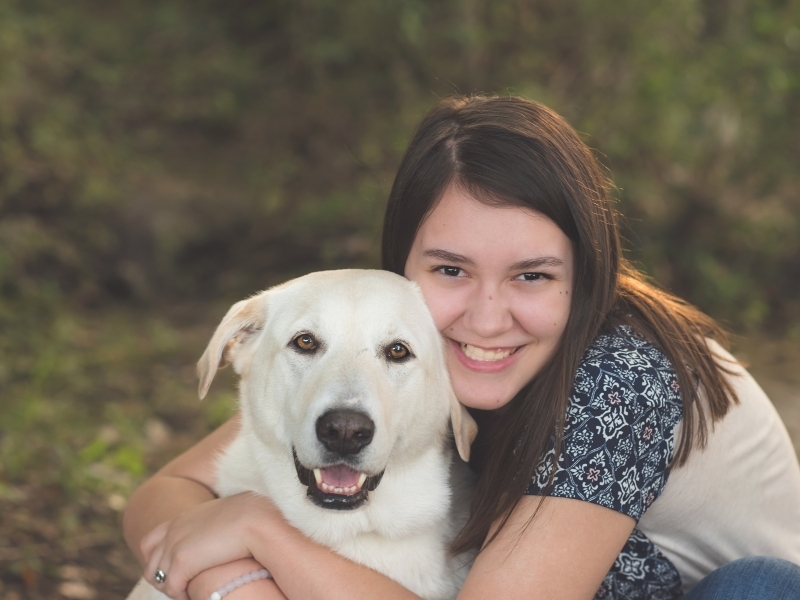 If Makayla were ever stranded or needed help, Bailey is trained to start barking and not cease until help arrives. And lastly, and maybe most importantly, when Makayla isn’t feeling herself, or her blood pressure is too high or too low, Bailey will cuddle and give her the support she needs. 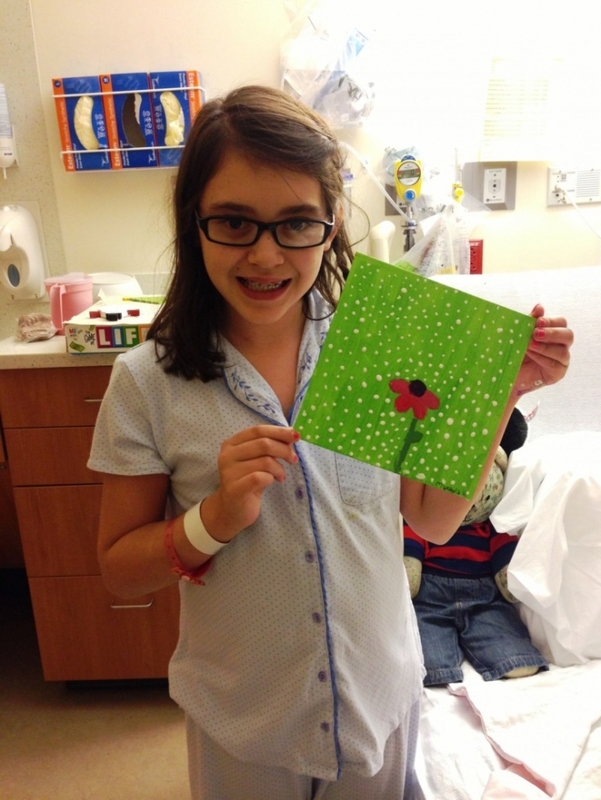 Since her diagnosis over 3 years ago, Makayla has undergone no fewer than 28 brain surgeries. Doctors maintain her shunts, which allow a release for the ever-building pressure Makayla constantly experiences. 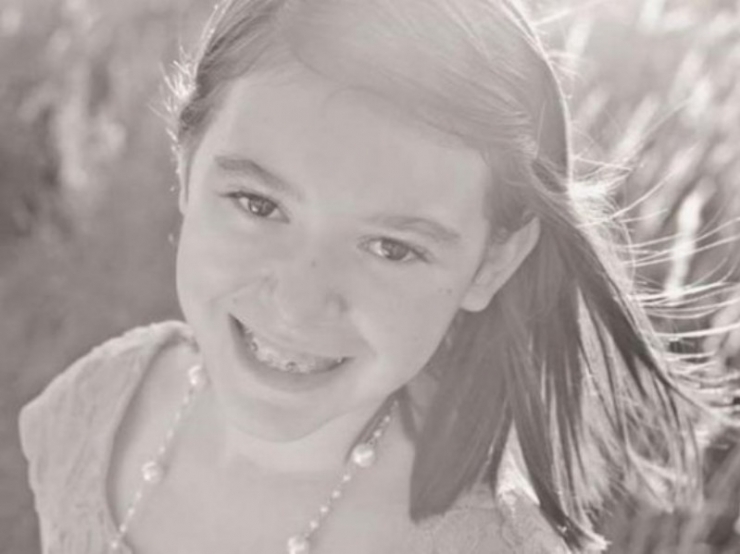 There is no cure for Makayla, and her long-term prognosis is unclear. 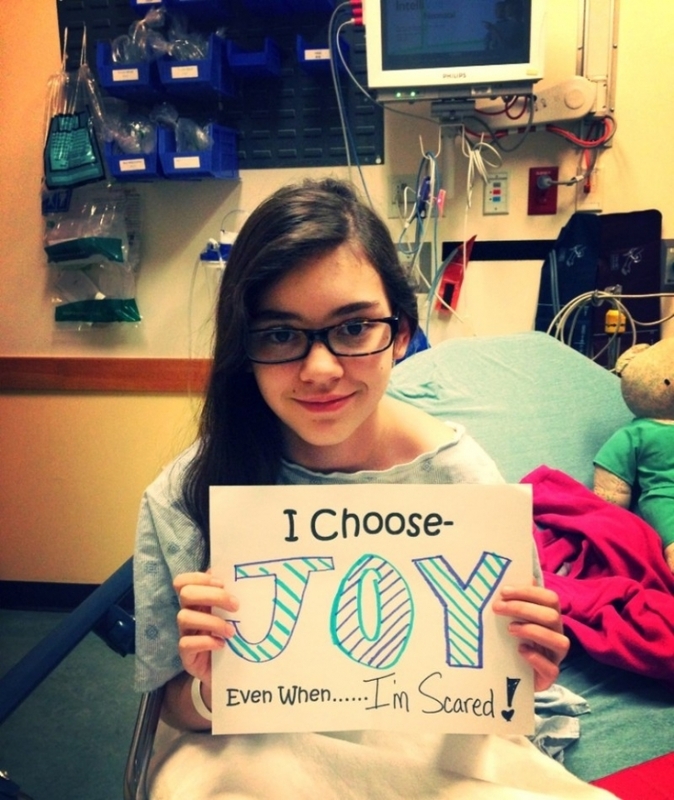 For four years, she has “never not been in pain.” But to look at her… you would never know. Here’s the hero of this story, Makayla! This picture was taken before Makayla's diagnosis. 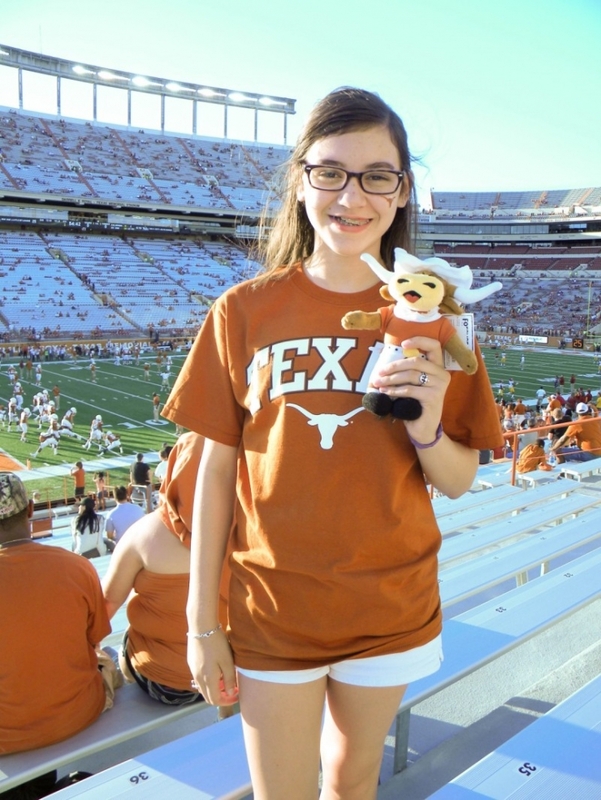 Although… Makayla pre-diagnosis doesn’t look much different than Makayla post-diagnosis. The optimism, happiness, and ear-to-ear smile have never wavered once. Instead of being scared or sad while in the hospital, Makayla focuses on creating beauty, and leaving the room a little happier than when she found it. 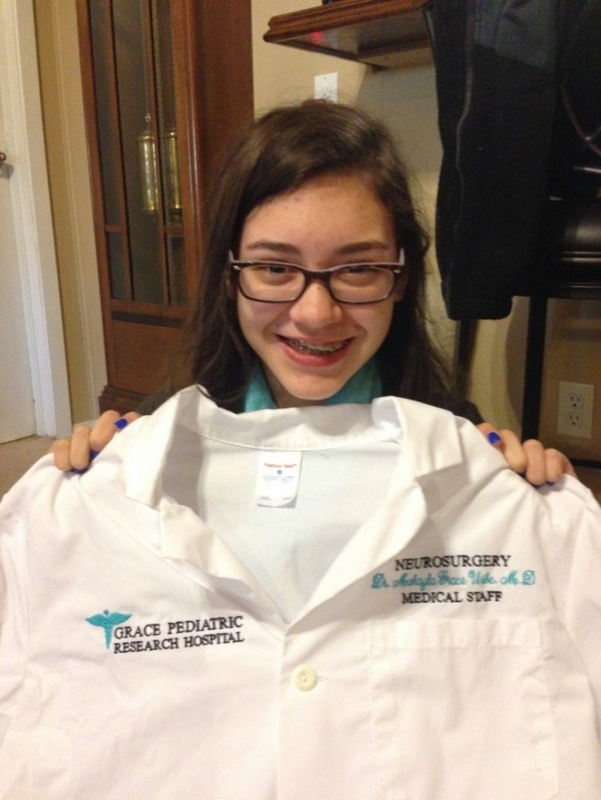 Makayla aspires to become a pediatric surgeon when she gets older. Her dream is to cure her own disease so others don’t have to go through what she goes through every day. Here’s a visual of what Makayla’s brain malformation looks like. On the right, Makayla’s Chiari was putting pressure on her skull and her spinal column, which was why surgery to remove the back portion of her skull and her top two vertebrae was so essential. 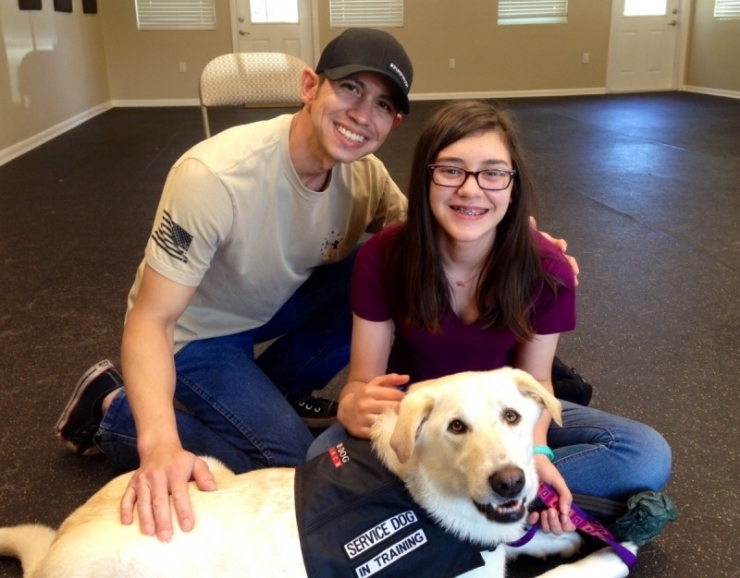 Here’s Makayla and stepdad Dallas with her new best friend – Bailey! Makayla is the kind of person who inspired happiness and courage in others. Her main concern is helping others and leaving the world better than she found it. She finds the strength to remain positive long after she could’ve become negative. 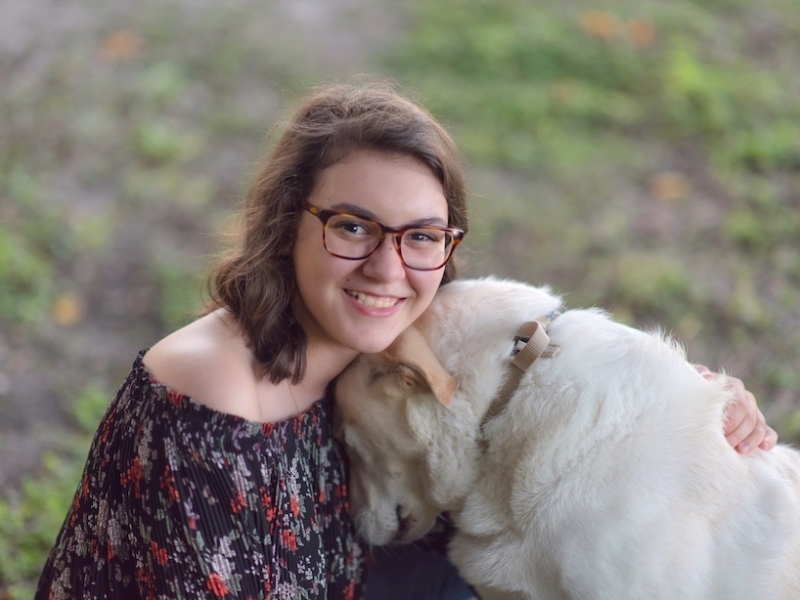 The only time she wants to talk about her disease, is not to worry about herself, but to discuss how her journey can help others in her position. She is more talented than most people double her age. 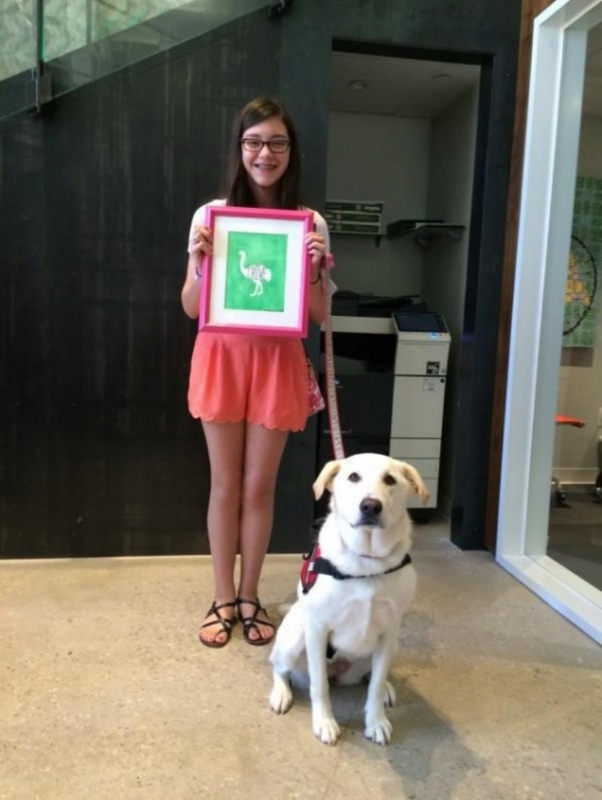 She writes poetry, loves arts and crafts, and paints… speaking of painting – Makayla came by theCHIVE HQ to give us a gift. Below, Makayla and Bailey display the watercolor painting of an Ostrich (with CHIVE written in the body) she made for us as a token of her gratitude. This Makayla Uribe original is now our office’s most valuable piece of art. 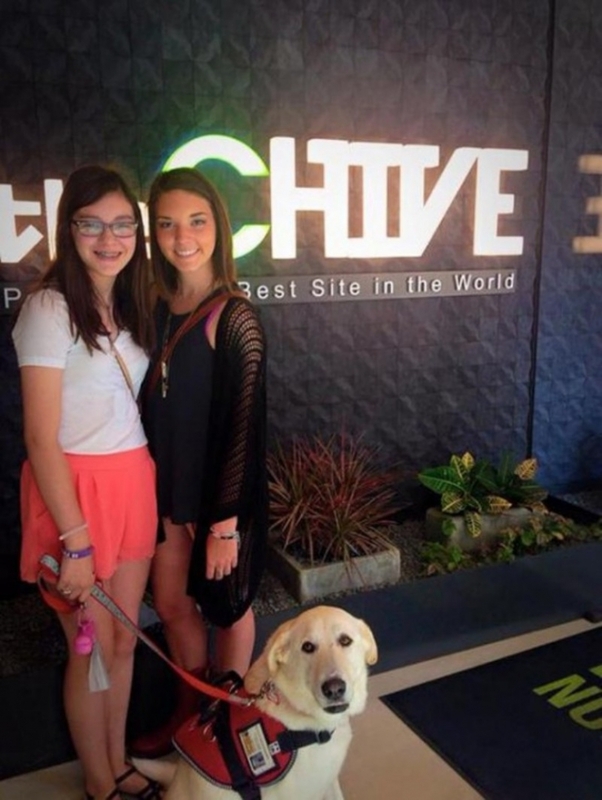 Makayla and her sister Alyssa check out theCHIVE HQ office! Bailey & Makayla in front of the infamous green couch in our studio. On this wall, you can write the one thing you want to do before you die. 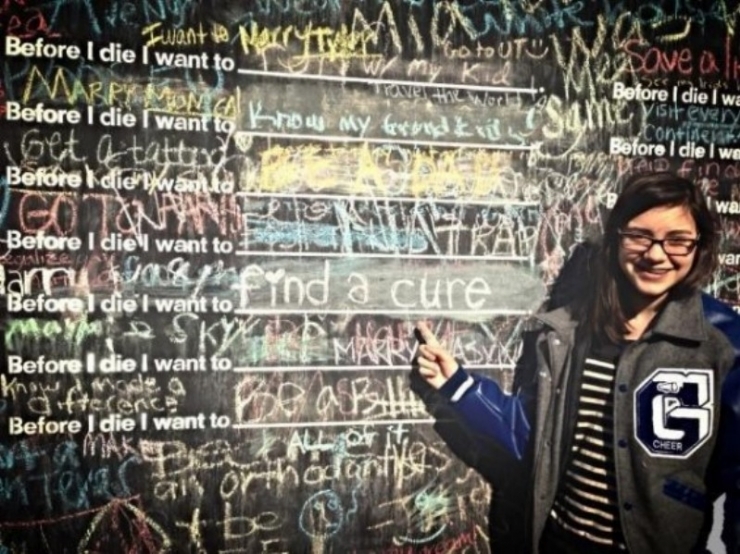 You can see the dreams of others, “I want to get a tattoo,” or “I want to visit every continent,” but Makayla wishes for only one thing: to find a cure. Makayla’s strength and compassion are palpable. Recently, she started a fundraiser… but not for her medical bills. She wants to build a home for a family in Haiti. Her random acts of kindness set the bar for the rest of us. Optomism can set in motion a string of events that not only make the world a better place, but 10% happier, too. Chive Charities brought Bailey into Makayla’s life, which inspired her to paint us a picture that now hangs on the walls of theCHIVE. Who knows how far the ripple effect will reach; how many lives will be touched. Our Chive Charities members are the original RAK’ers, the people who demonstrate selflessness on a monthly basis. They’re the ones who are changing lives. Make the world 10% happier and become a member HERE.